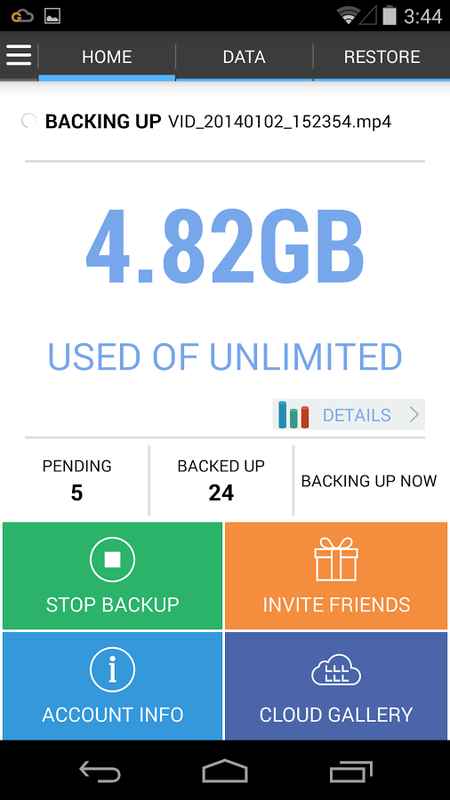 *** New: Unlimited storage for only $1.99/mo! 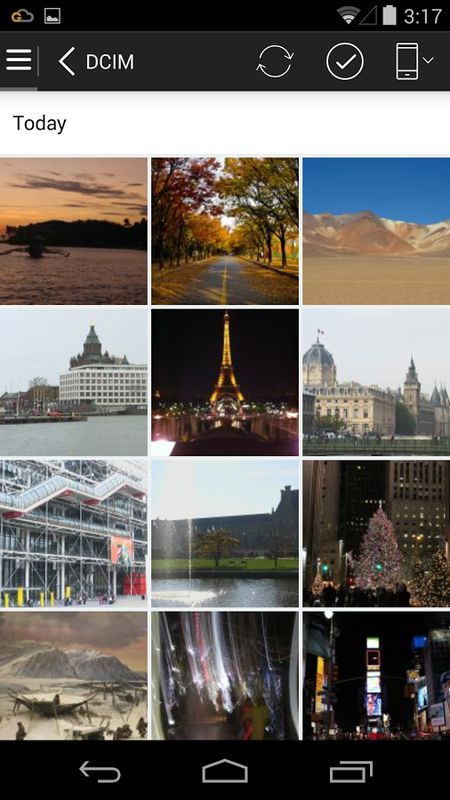 *** New: Locate your lost android on a map and so much more! The only app that allows you in one step to move all your phones and tablets photos, videos, music, messages, contacts, simply everything to a secure cloud, so you don’t have to worry about losing them again, and it’s FREE (Up to 10 GB)! 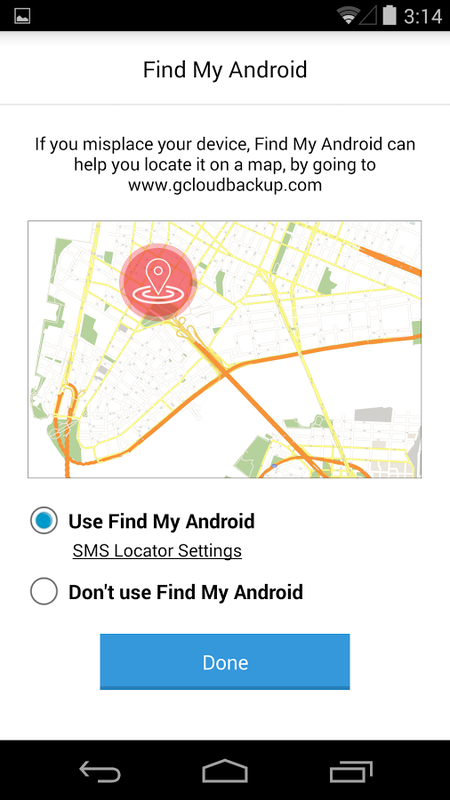 If you lost or replaced your phone, simply install G Cloud on any phone or tablet, and voila! All your stuff will be restored in a tap. ●	Unlimited storage + Premium Support + Remove ads for only $1.99/mo! ●	Easy mobile to mobile restore and same device restore. *** Backup your apps settings, game levels, app customization, and more with G Cloud Apps Backup. FOR ROOTED DEVICES ONLY.